Some local authorities are trying to cut their truancy rates by urging parents of persistent truants to say they will home educate, it is claimed. Home education charity Education Otherwise says parents of truants and disruptive pupils are being urged to sign pre-typed de-registration slips. It says the practice gives home educators a bad name and plans to take evidence of it to education ministers. New figures show England's secondary school truancy rates are rising. Data released on Thursday revealed that truancy rates are 18% higher than had been thought after a new way of counting absences was adopted. The Department for Education and Skills said it had not received any information supporting the allegations, but a spokeswoman said it would be "very interested to look at any evidence behind these claims". Education Otherwise spokeswoman Ann Newstead said she knew of at least two local authorities who were encouraging home education amongst troubled families in order to improve truancy figures. She declined to name them. She said the practice was particularly common in areas with large populations of travellers - who, in the official statistics, have the highest rates of truancy. "They are handing out pre-typed de-registration letters saying sign your X here at the bottom and you will be left alone," she said. "This sort of thing isn't good for the majority of parents who do the right thing. "It is these sorts of situations that lead people to be prejudiced about home education. "There is a problem but it is between schools and local authorities - it is not our problem." By law, parents of children who are already in school can opt to educate them at home once they have informed the head teacher. Home education is lawful as long as parents provide the child with an education deemed to be suitable to their age. They are not required to provide any particular type of education, obliged to have premises equipped to any particular standard or have any specific qualifications. Home education inspectors employed by the local authority are supposed to liaise with parents about the education of a child - but they do not have any legal right to visit the home. However, education welfare officers can intervene if they suspect something untoward is going on, school attendance orders can be issued and court proceedings started. Parents can be fined up to £1,000 for allowing their children to truant. A report in the Times Educational Supplement claims as many as 35,000 home educated children do not receive even a basic education from parents. It quotes home education inspectors who are concerned that some families are using home schooling as an excuse to evade problems with bullying, poor attendance or disruptive behaviour. The inspectors claimed that up to a quarter of home educated children are provided with nothing by their parents. 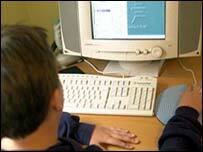 The Department for Education and Skills has been considering proposals to change the way home-schooling is regulated. Home educators say their children benefit from the intensive one-to-one teaching that parents can provide, and that children do not face the same stresses as school pupils.